This doesn't look like a Jeep to me at all. More like a Dodge Durango. But I hear this was an early proposal for the 2009 redesign. 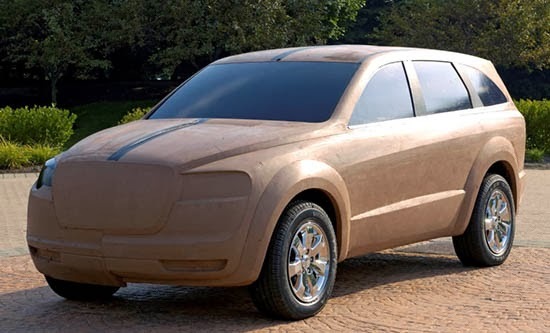 Chrysler version of the Dodge Journey.. look at the grille! Clearly not a Jeep design as the wheel wells are circular. Plus the grille looks wrong. This was probably a Chrysler or Dodge design. If they continued the Pacifica maybe? Look at the grill and headlight shape....a dead ringer from the 300 Sedan at the time....so this had to have been the redesigned Pacifica before it got cancelled. 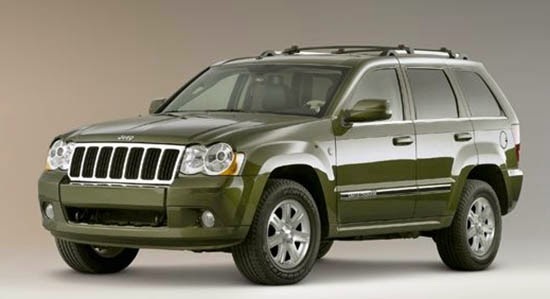 The 2009 Grand Cherokee pictured was refreshed for 2008, so it couldn't have been it as it was all new for 2005. Jeeps have life spans longer than 4 years. We are lucky to even get refreshes with them. The Opel Adam Rock rocks! 2015 Mercedes S-Class Coupe. Official pictures. 2015 Subaru Legacy: Better pictures?